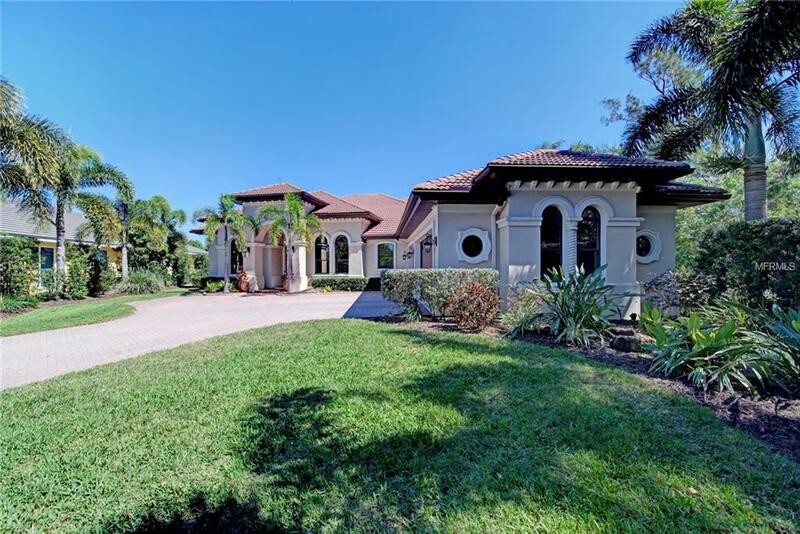 Welcome to Casa Sul Verde, a Sarasota, FL Tuscan inspired golf front estate home. Reserved for the most discerning buyer seeking the utmost in quality and privacy, this custom built home is a golfer, entertainer, or nature lover's paradise. Situated on the 15th green of the Misty Creek Country Club with panoramic long pond views. Watch deer, hawks and even bald eagles from your private, expansive 1st or 2nd floor lanai. This luxurious 2 story, 3 bedroom, 4 1/2 bath home sits on over 1/2 acre tucked away on a private cul-de-sac. Features: Great Room, Living Room, Dining Room, Breakfast Area, Fitness Room, 2nd Story Game Rm/Media with Large Enclosed Balcony, Large Office and Utility Room, 8 inch base boards, 8 foot solid wood doors with wide casement molding, extensive crown molding and tray and waffled ceilings. 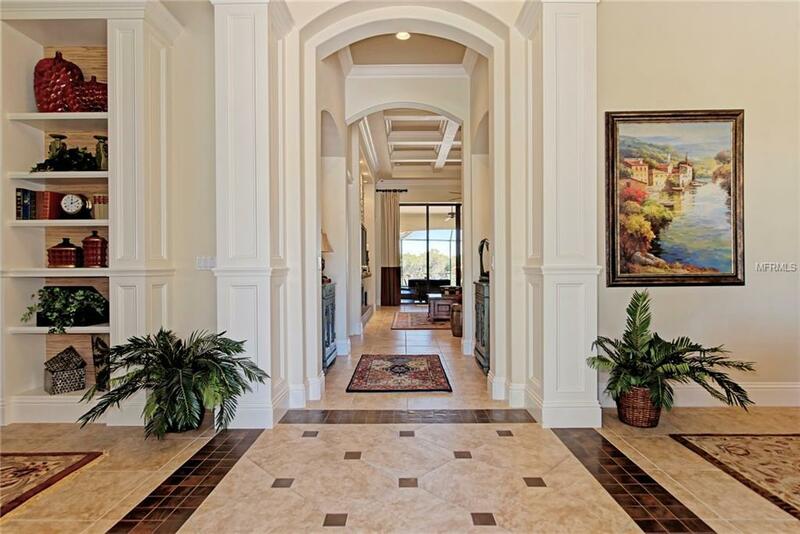 Ceramic tile, Brazilian Mahogany flooring throughout. Gas fireplace. Gourmet Kitchen with granite counters and GE Profile appliances, custom artist painted pantry door and outlets. Large storage/walk-in pantry. Formal living room/library has impressive wall details and a high quality built-in library wall. Leading out are pocketed 10 foot sliding glass doors onto the lanai with saltwater pool, oversized spa and outdoor kitchen that overlooks the lake, golf course and preserve. Complete with a 3 car attached Garage with work area and epoxy coated flooring. All 3 a/c units replaced in 2019. Gated community w/security guards. Membership in the country club is optional. Listing provided courtesy of Preferred Shore.